Although Magento 2 offers a lot of useful ecommerce features and provides top-notch performance, there is always room for improvement. And you don’t need a team of specialists to enhance the default capabilities, because there are Magento 2 extensions aimed to turn your tiny ecommerce store into a robust forpost of online retail. Since the Magento Connect 2.0 has been launched, you can already find the first Magento 2 modules there. The website shows available extensions and provides information on future plugins through the Coming Soon section. All modules are divided into several groups, which consist of different categories. To dive deep into the new Magento 2 extension marketplace, follow this link: Magento Connect 2.0. 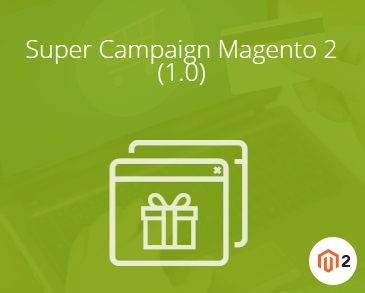 The launch of Magento Connect means that we are going to update this post with new Magento 2 modules soon. Below, we shed light on 10 Magento 2 extensions that dramatically enhance the default capabilities of the platform. Navigation, search, SEO, checkout, as well as other improvements, are described in the following block. 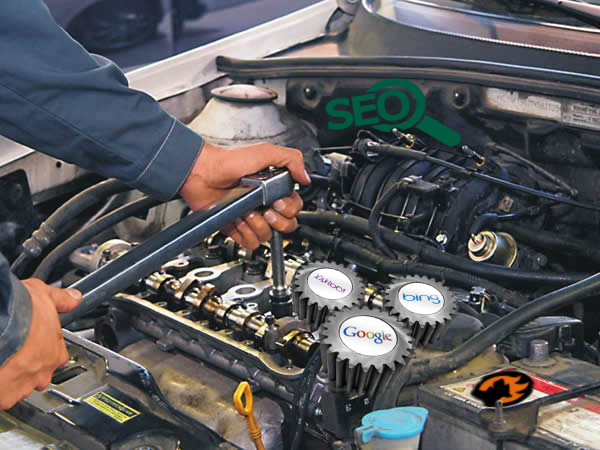 The next vital improvement is related to SEO. Although there are a plethora of different SEO tools in the ecosystem, we’d like to emphasize all-in-one solutions and especially Mageworx SEO suite for Magento 2. The platform now is more SEO-friendly than its previous version, but it doesn’t mean that everything is included out-of-the-box. There are still some complex procedures that can be turned into a piece of cake with a third-party solution only. That’s when the Mageworx SEO suite Magento 2 module becomes handy. The all-in-one solution with an extremely easy-to-use interface allows you to master the following SEO aspects without headaches: canonical URLs; HTML and XML sitemaps; crawling and indexing; automated cross linking; SEO templates for products and categories, etc. Check our review for more information: Mageworx Magento 2 SEO Suite Extension. Besides, there is Magento 2 SEO Suites Comparison on our website. As for the price tag, it displays the following digits: $299. The Mirasvit Sphinx Search Ultimate Magento 2 module understands literally all queries even if a product name is spelled incorrect. Besides, it provides as much information in the search drop-down as possible. 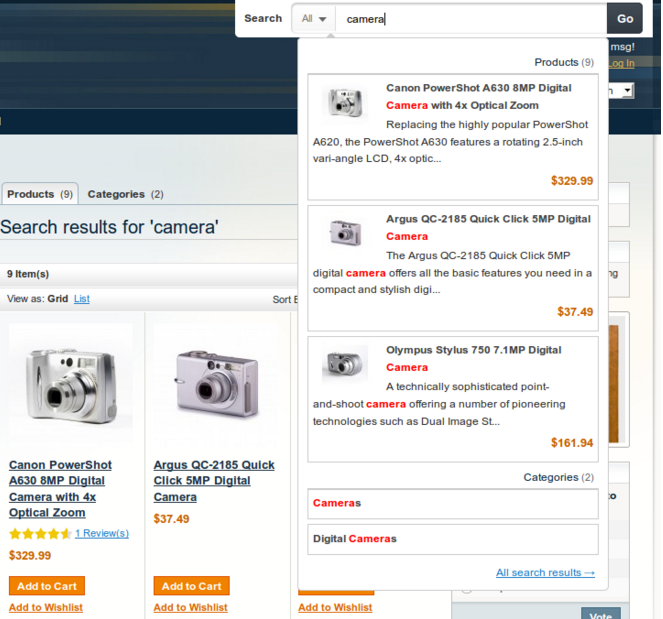 And as a Magento 2 administrator you can adjust search results, displaying products you want to promote before others. The full description of the extension’s backend and frontend is available here: Mirasvit Sphinx Search Ultimate for Magento 1 and 2. 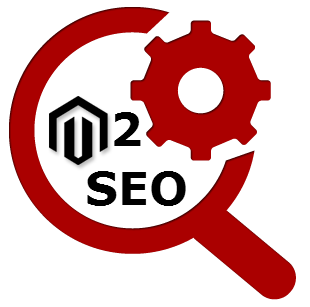 As for the price, Mirasvit Sphinx Search Ultimate costs just $149. 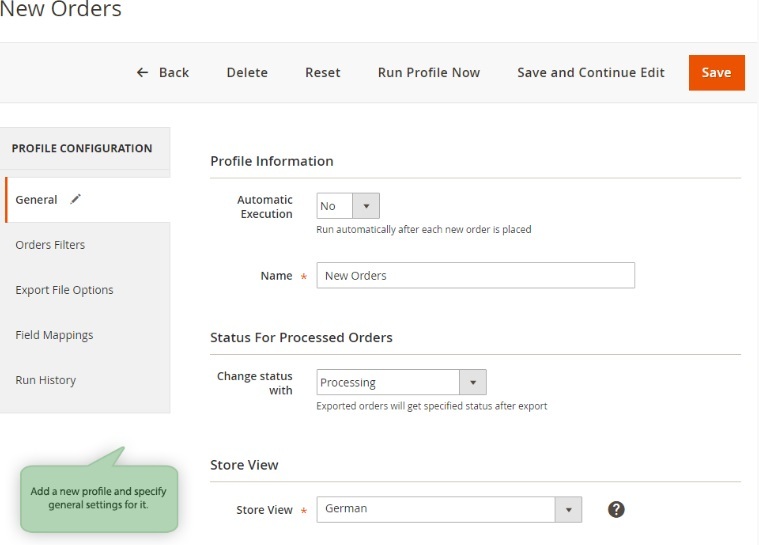 Another thing that should be improved in Magento 2 is product option functionality. To achieve this goal, you can use Mageworx Advanced Product Options Suite – a Magento 2 module that offers full-featured product custom option templates. But why should we revamp this area? To simplify daily admin routine of course. 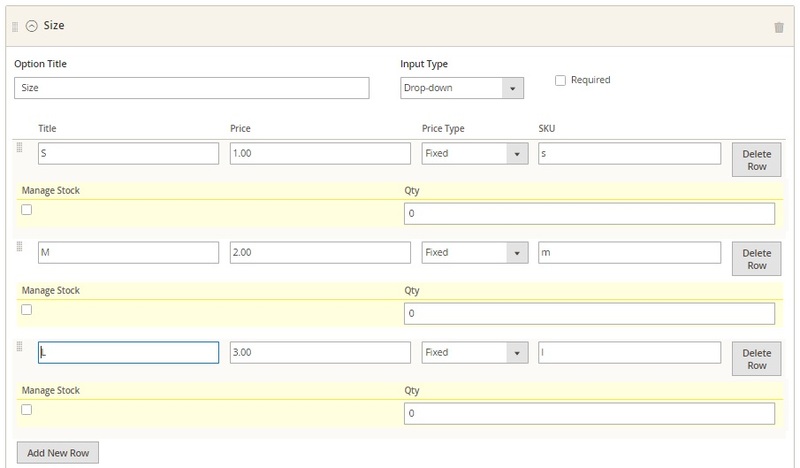 After installing the extension, you will get advanced option stock management enhanced by custom options inventory functionality and accurate stock reports. Note that these are only a few core features, and the extension offers much wider opportunities. A fully responsive checkout procedure. 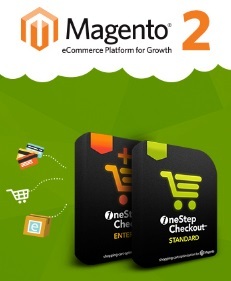 This makes the Magento 2 checkout page as compact as possible. Let’s take a look at some marketing improvements. Since it is always a good idea to attract customers’ attention to certain goods in order to increase sales, we recommend you to utilize various promotions. Neither Magento 1 nor 2 provide the necessary functionality, so there is only one way to fully leverage the marketing potential of your ecommerce website – a third-party Magento 2 module. Among available tools, we’ve chosen Amasty Special Promotions for Magento 2. And there are several reasons in favor of the module. 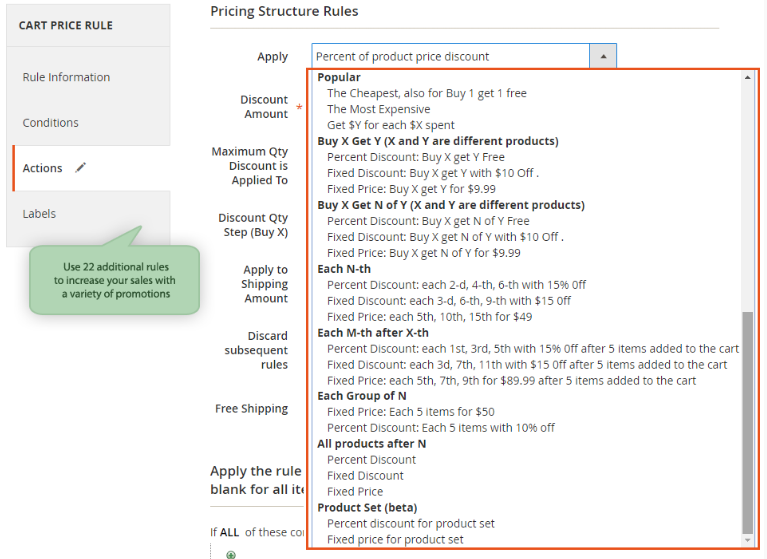 First of all, it enriches standard cart price rules with a list of 22 absolutely unique and new promo actions. Note that the extension provides the ability to create promotions for both the cheapest and most expensive products. It is even possible to provide customers with free items. Consequently, you can increase their loyalty and promote your brand. 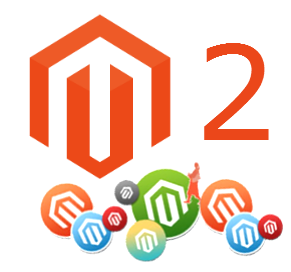 For further information, check this review: Amasty Special Promotions for Magento 2 and 1. As for the price of the module, it costs $249. It is necessary to spend hours of time creating related products in default Magento 2. The process is boring, annoying, and time-consuming even if you update only a few items. But we all know, that it is necessary to create hundreds of relations (if not thousands) to make the feature work. So, how to solve the problem? Just install the aheadWorks Automatic Related Products Magento 2 module. 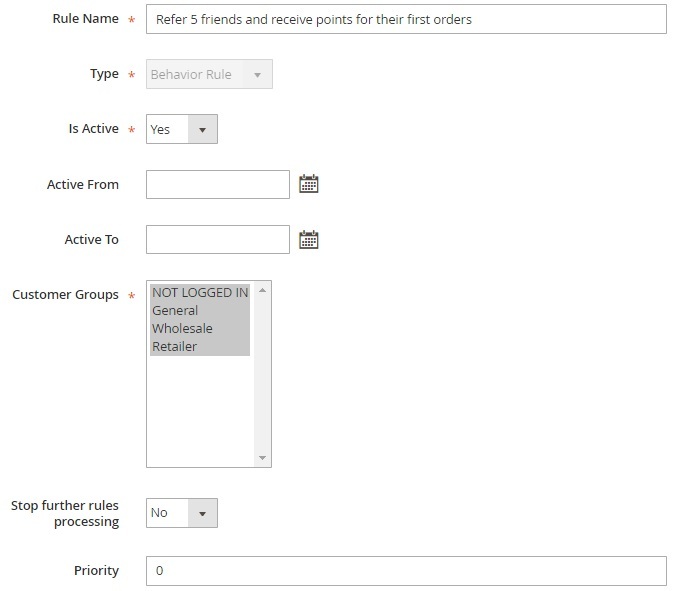 The tool is based on the usage of highly customizable rules, so you can effortlessly create conditions that will regulate the display of related products. 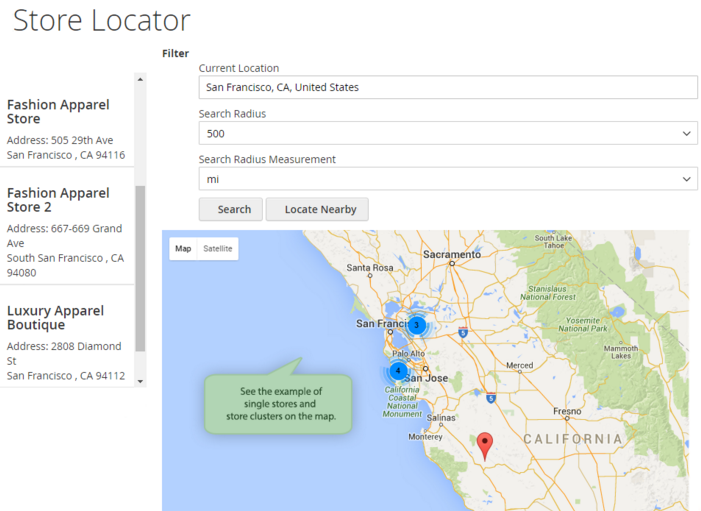 Besides, you get a block of location setting with aheadWorks Automatic Related Products for Magento 2. 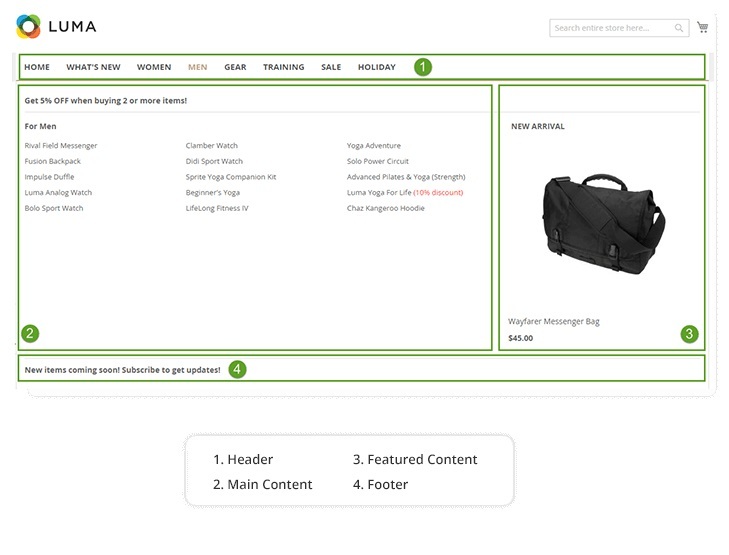 These settings provide the ability to customize the appearance of related products on the frontend. You can find more information, including a detailed backend tutorial, about the Magento 2 module here: AheadWorks Automatic Related Products for Magento 2 and 1. The solution is quite expensive – $499, but if you are already a M1 client of aheadWorks, you can get it with a 50% discount. And we should also tell a few words about standard PDF documents vs custom ones. In case of standard PDFs, you get lots of limitations related to design and information you can place on them. Furthermore, in some countries the default Magento 2 system cannot cope with the local legislation that requires certain data to be published on PDFs. 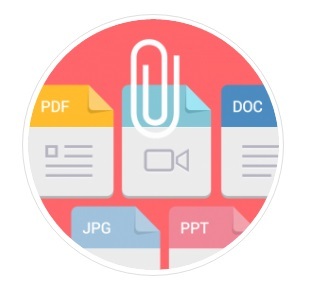 With a reliable third-party solution you not only solve this problem, but also impress customers with professionally looking documents. Therefore, we recommend you to install the Fooman PDF Customiser Magento 2 module. 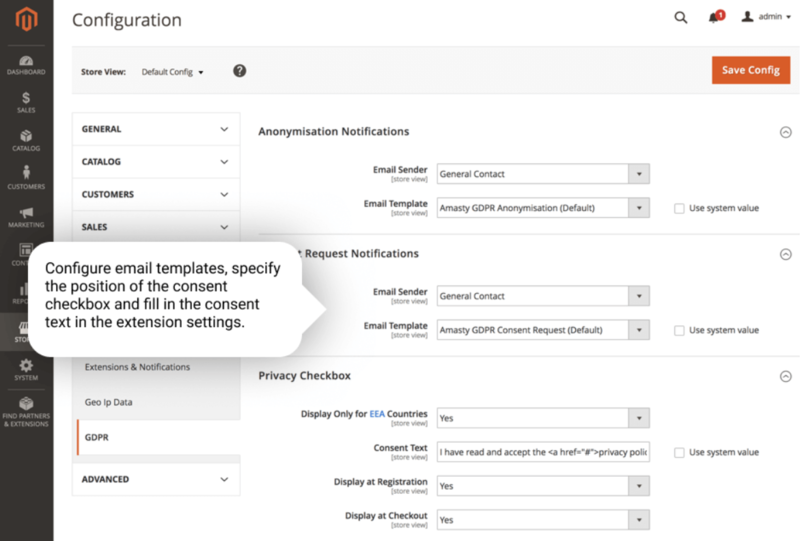 With the extension, you will be able to add a lot of new options to default PDFs customizing them according to your ecommerce needs and local legislation. Note that the module has an admin-friendly interface, so the procedure won’t take much time. It is even possible to modify .phtml template files to create more customized design. Want to add your brand logo or product thumbnails to a PDF document? Fooman knows how to do this. Looking for a tool that will change fonts or page margins? Not a problem. Need to provide customers with additional information? This is also possible with the PDF Customiser Magento 2 module. For more information, check this post: Fooman PDF Customiser Magento 2 Extension. We also compared the extension with other tools here: Magento 2 PDF Customizers Comparison. As for the price, it is $149. And of course, the top 10 Magento 2 modules digest is impossible without a tool that simplifies Magento 2 integration with third-party platforms and especially shopping engines. 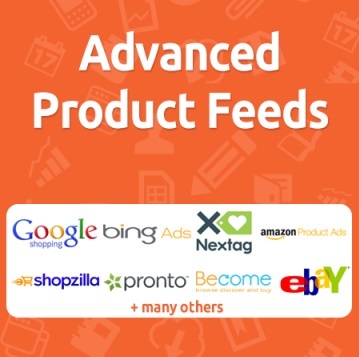 Thus, we recommend you to check Advanced Product Feeds by Mirasvit. This extension will help you seamlessly connect your ecommerce store to nearly every shopping engine without any headaches. Simple configuration provides the ability to use flexible filters and 50 predefined export templates to make integration flawless. The last solution in our top 10 list is Advanced Reports by aheadWorks. Note that aheadWorks Magento modules cost more than corresponding solutions by competitors (unless you are a company’s M1 client), but they are reliable and user-friendly. The company proves that a limited functionality can be a plus, since you will never get lost in a complicated admin interface, but will always get the most demanded features. But what about the Advanced Reports Magento 2 extension? 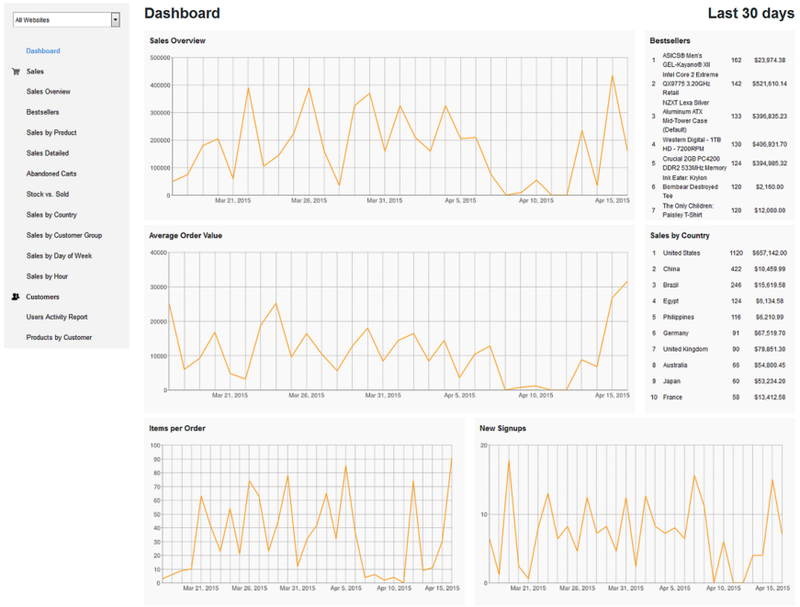 AheadWorks improves the default stats dashboard by adding 9 new reports providing a deep insight into your ecommerce business. All data is displayed within a clear interface showing core ecommerce activities. The Magento 2 module is quite expensive – $499. For further information check this overview: AheadWorks Advanced Reports for Magento 2 and 1. You can find other report tools compared in this article: Magento 2 Advanced Reports Comparison. The Magento 2 ecosystem is not as huge as the one around the first version of the platform, but it already offers some robust ecommerce solutions. Below, we are going to collect the best Magento 2 modules divided into the following categories: Performance, User Experience and Frontend, Import / Export, Products and Categories, SEO, Marketing and Advertising, Integrations, Extend Magento 2 API, Advanced Admin, and Security. The post will be updated as soon as appropriate Magento 2 extensions will be released. For further information on Magento 2, we recommend you to examine Firebear’s articles about Magento 2 APIs, SEO, Enterprise Edition Features, System Requirements, and Performance. Magento 2 shows an essential increase in performance compared to 1.X, but we don’t recommend you to rely on its out-of-the-box facilities, because you can easily make your ecommerce store much faster. By installing the following modules, you will significantly enhance the default Magento 2 performance. Don’t miss any categories listed below. One of the most popular performance improvements in Magento 2 is Full Page Cache. 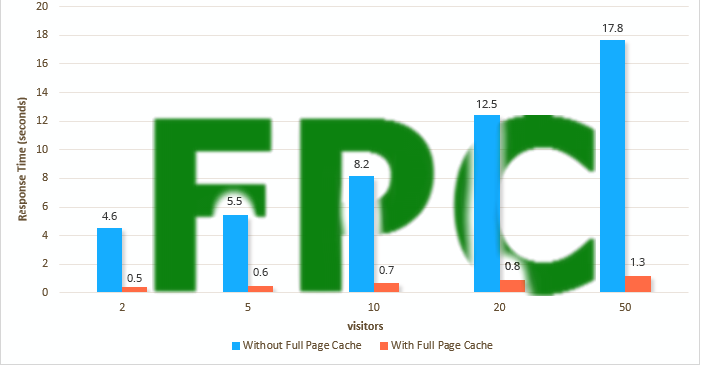 FPC significantly speeds up page load time by reducing server loads as well as improve SEO and remarkably increase sales conversion. Note that FPC is available in Magento 2 by default. Magento 2 cache crawlers / warmers are used along with full page cache extensions. They ensure that the FPC solution is always warmed and ready to serve website’s visitors at the fastest possible speed. 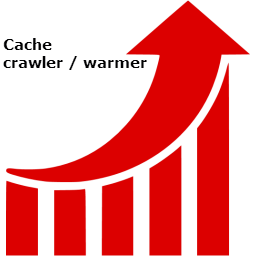 Cache crawlers / warmers reduce the usage of bandwidth and CPU improving the default Magento 2 performance. 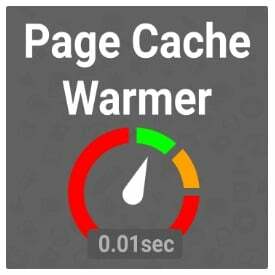 Full Page Cache Warmer is a reliable tool for leveraging the full potential of FPC. The default FPC solution of Magento 2 doesn’t provide the maximum performance, but you can easily improve it by installing the Mirasvit Full Page Cache Warmer Magento 2 module. The extension monitors pages of your Magento 2 website and refreshes cache if it is cleared. CloudFlare is a powerful content delivery network popular within the Magento ecosystem. The CDN is extremely helpful in increasing Magento 2 performance. Even if you use FPC and minification solutions, tons of Java Script, CSS, and image files are still loaded from your server for each page view. By using CloudFlare, you send these files to distributed servers around the world. Such an improvement dramatically reduces your server load and allows visitors review your pages with amazing speed. 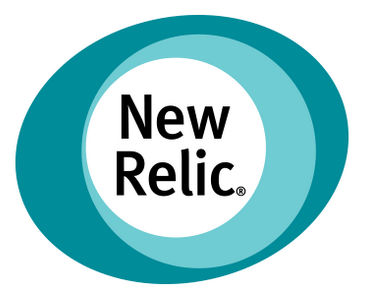 Besides, CloudFlare offers resource caching, DDoS protection, additional form and files security, async js load, etc. In addition to the aforementioned performance improvements, you can disable logs. You can perform this procedure manually, but we recommend you to use appropriate Magento 2 modules. By disabling logging, you will unleash some additional resources. It is always important to provide your visitors with the best possible user experience. 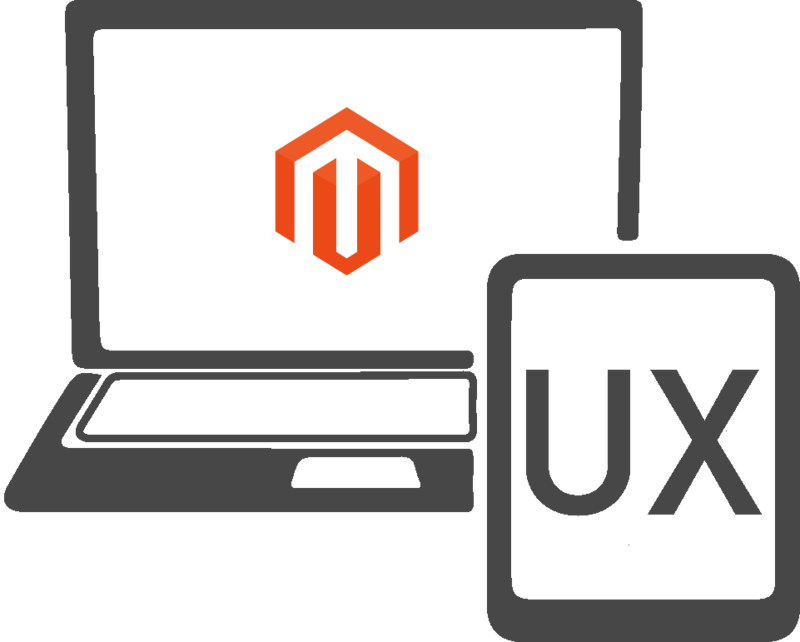 Even if you think that Magento 2 is enough user friendly, make it better. Thus, you will increase chances to turn visitors into first-time buyers and loyal customers. To achieve this goal, we recommend you to implement such new features as improved layered navigation, one step checkout, quick view, images / banner slider, and advanced menu. Note that everything is possible after you install an appropriate Magento 2 module. This third party Magento 2 feature will make your store much more user orientated, so your customers will easily find a path from the main page of your store to the product they are looking for. With improved layered navigation for Magento 2, your buyers will feel more comfortable while surfing through your ecommerce website. Better search is also a great idea. There are several search engines that can be leveraged on your ecommerce website. And you have a great opportunity to choose among dozens of Magento 2 modules. Unfortunately, the default search capabilities of Magento 2 do not offer enough features for providing proper user experience and making customers happier. But with the Amasty Search Autocomplete Magento 2 module, you allow potential buyers to quickly find goods they are looking for. 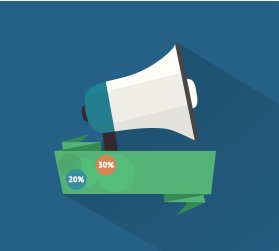 As a result, chances that someone buys something on your ecommerce store increase. The extension is not as complex as the previous one, but it still solve some major problems of the platform. 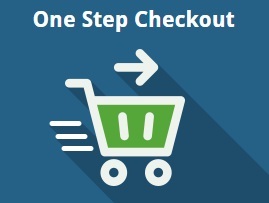 One step / page checkout Magento 2 extensions reduce the number of steps used during the default checkout procedure. Providing your visitors with the opportunity to purchase something within less steps significantly increases your chances to sell more goods, because your customers will more likely complete the full checkout process. We compare OSC Magento 2 extensions here: One Step Checkout Extensions Comparison. To make the default Magento 2 checkout better, this Magento 2 module combines all checkout pages on a single page (as every OSC solution). Thus, the extension speeds up the whole shopping process. Another improvement is related to Google Suggestions: address fields can be filled instantly. 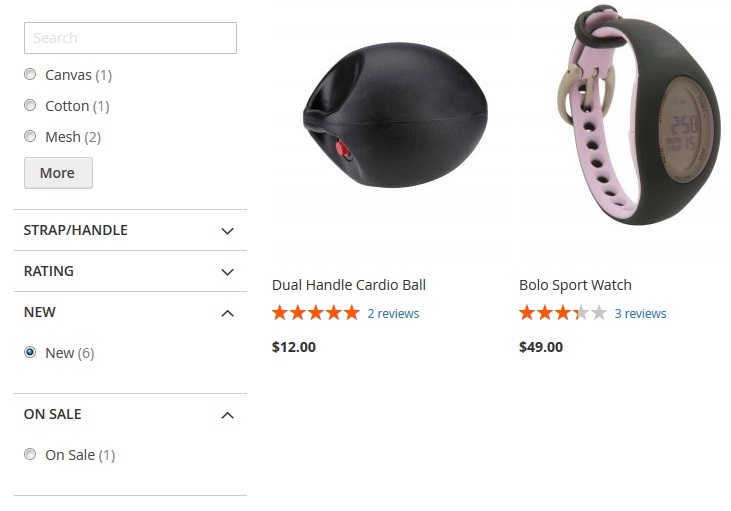 Another great customer-oriented improvement is the ability to edit products right on the checkout without going back to the cart page. 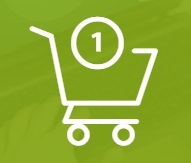 After installing the module, you will provide your customers with the ability to make purchase decisions much faster. 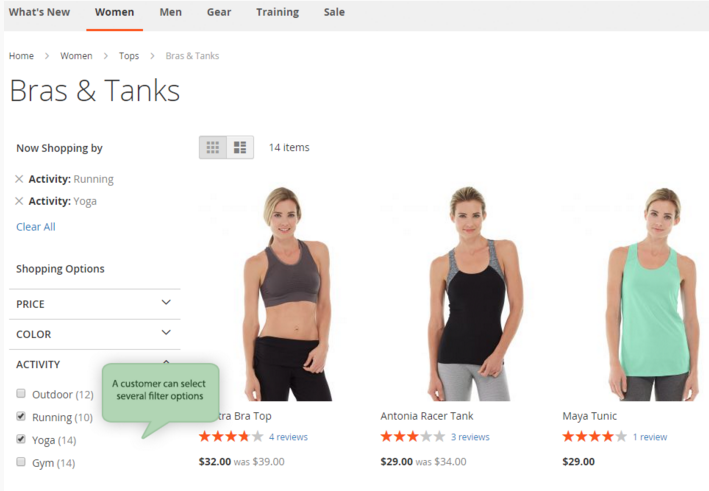 The Quick View Magento 2 module essentially simplifies catalog browsing with a handy preview window with product details. Consequently, your buyers can instantly find necessary product data and add items to cart without going to a product page. Banner slider Magento 2 modules dramatically improve the default banner management feature. 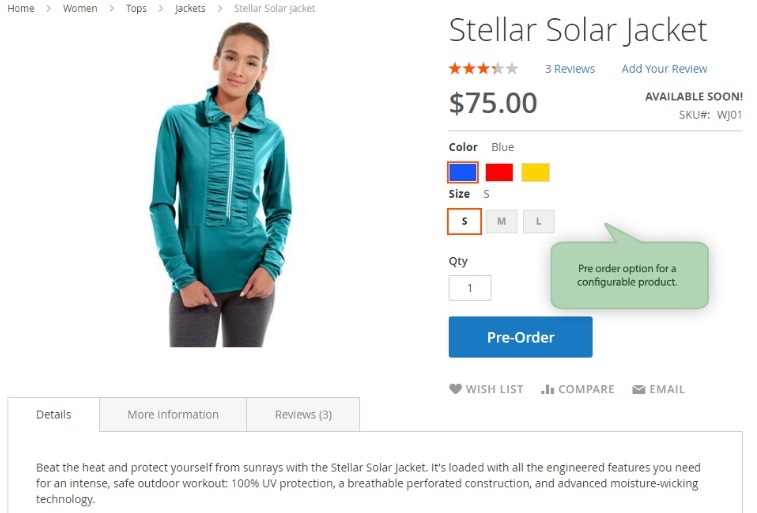 They often provide all possible positions for displaying images, banners, and slideshows on your Magento 2 store, as well as offer banner rotatory effects and slider with customizable styles. 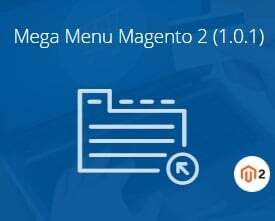 With the aid of an appropriate advanced menu Magento 2 module you can easily customize the look of your store’s navigation without any need to understand PHP and spend tons of time changing the default option. You just have to install the extension and set a few options. 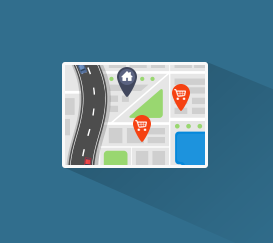 Provide visitors with better navigation and get a perfect chance to direct them to where you want. The popular interface improvement in the interpretation of Mageworx provides lots of advanced features. The Magestore Mega Menu extension offers both horizontal and vertical menus. You can fully customize their appearance. And note that mobile devices are fully supported! Amasty offers a great opportunity to improve the default user experience of Magento by enabling buyers to specify preferable time intervals for receiving orders. 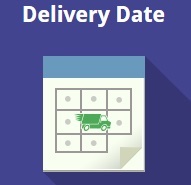 With the company’s Delivery Date Magento 2 module, you will provide your clients with the ability to select days and time of delivery; exclude dates from a delivery plan; set delivery intervals; and send you delivery messages. 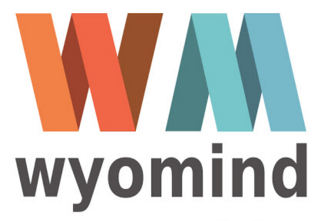 With the help of this tool, you can easily leverage the full potential of landing pages. The module offers all necessary options that let you choose content you’d like to have on a landing page. As a result, you can place products, texts, banners, CMS blocks, or other elements there. Besides, the module enables you to make your landing pages more SEO-friendly by specifying custom meta tags and short URLs. 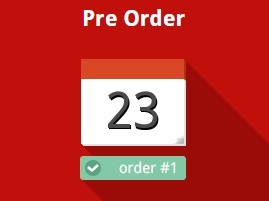 The tool enables your customers pre order products they want, so you get the precious data on their preferences. With the help of Store Locator, you let customers find the nearest offline locations where they can purchase your products. 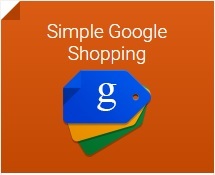 Stores are displayed on a Google map and you can even specify some additional data for each one. It is also important to improve the default Magento 2 import and export procedures, since they are far from being the most convenient. 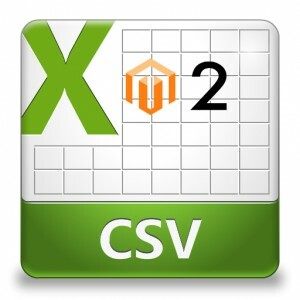 Luckily, you can easily turn your work with csv files into a piece of cake by installing one of improved import / export magento 2 modules. 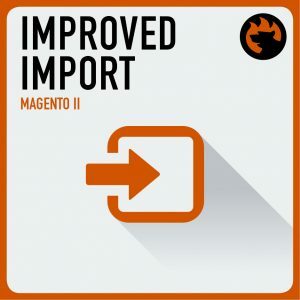 The Improved Import / Export Magento 2 module introduces enhanced opportunities when it comes to the import of CSV. For instance, you can easily import a CSV file with both product data and images from several sources, such as a remote FTP server and a cloud storage (Dropbox, Box, and Google Drive). Besides, it is possible to export products and images to the same location and setup automated product updates from a cloud storage. 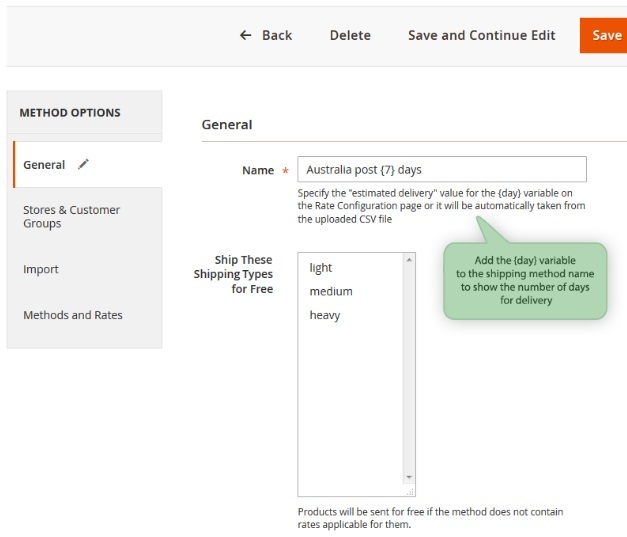 More Import/export tools are described here: Magento 2 Import Export Modules. By using advanced products and categories on your Magento website, you will not only increase your customers’ loyalty, but will also simplify the way you interact with your store. There are two core improvements in the category: Improved Configurable Product and Improved Product Custom Options. ICP or the Improved Configurable Products Magento 2 extensions help you utilize the power of configurable products within the platform. Such modules significantly simplify the process of buying by providing a customer with a product which already has a pre-selected set of options. 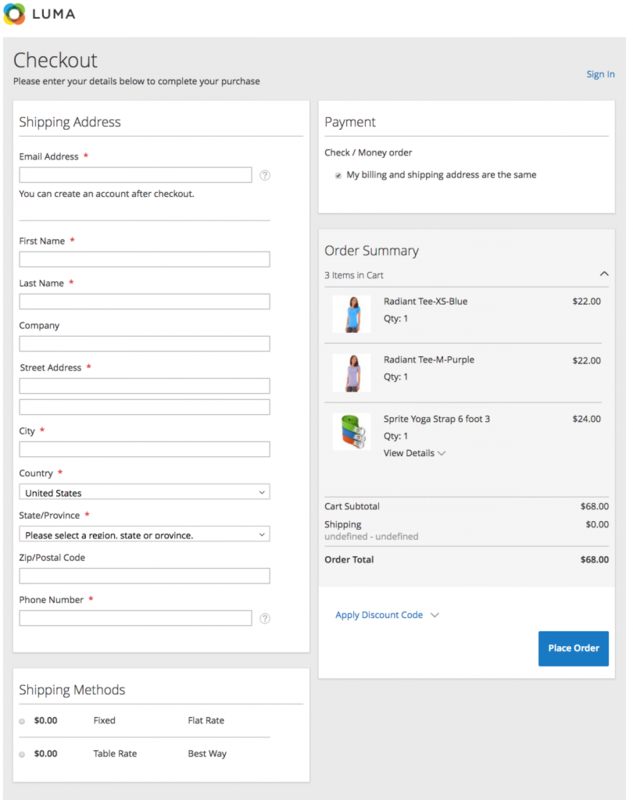 As a result, the number of steps required to add something to cart is reduced. Besides, good ICP Magento 2 module should offer the ability to create unlimited combinations of products with automatically generated URLs and unique content. Thus, it will improves SEO and generate additional traffic from Google. This Magento 2 module offers such features as pre-selected configurable product options via simple product URLs and unique URLs for ICP presets. 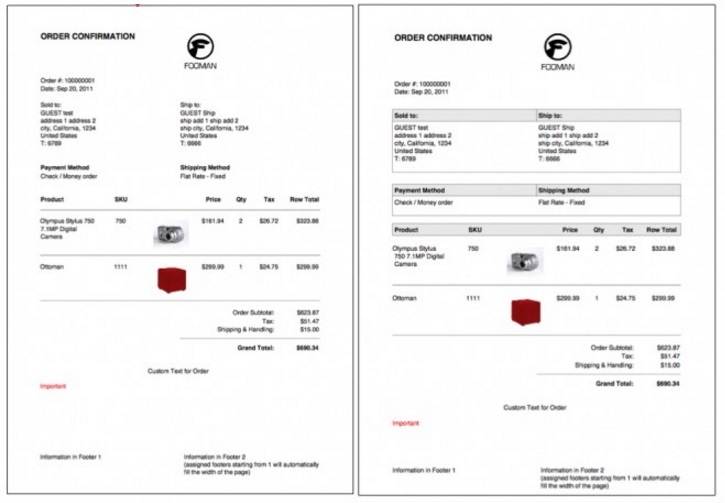 Furthermore, with Improved Configurable Products by Firebear, simple products associated to configurable ones are displayed on a category page with a unique URL. 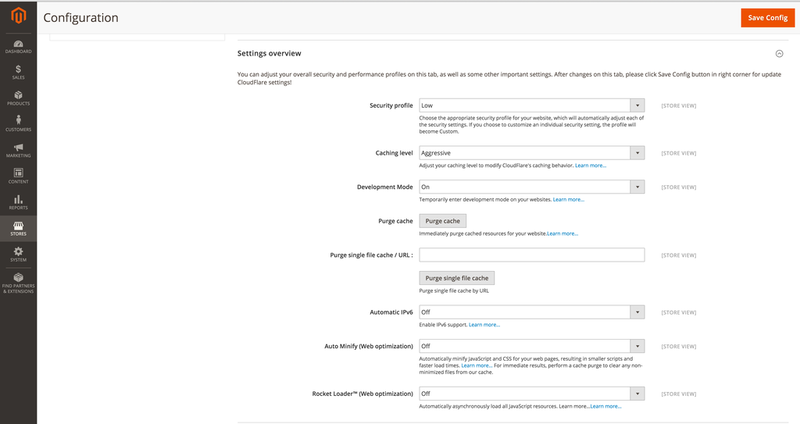 As for configurable product pages, they are loaded with pre-set options. Please note that the extension is SEO friendly, works without any redirects, and provides features from the ICP subcategory description. ICPO Magento 2 extensions enhance the default capabilities related to product option management. 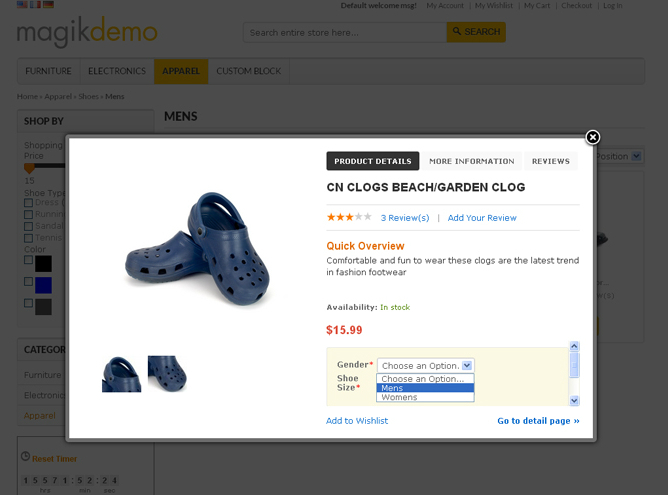 They provide the ability to create custom options and assigning them to your products right on a product’s edit page. As a result, you can tune your store according to various business requirements. This extension allows you to save lots of time due to the ability to utilize various templates that assign custom options to product. As you can see, it allows you to add all possible custom options in an unlimited quantity. The earlier and more frequently your website appears in a search results list, the more visitors you get, that is why proper search engine optimization is very important for your Magento 2 website. Nowadays, SEO often plays a key role in ecommerce success, so it is hard to overestimate the role of such improvements. Although, Magento 2 is SEO-ready ‘out-of-the-box’, it is always necessary to make it even better with the help of appropriate Magento 2 SEO modules. The trick behind complete SEO suites is in the usage of templates, which provides the ability to optimize the specific categories and product groups for specific search terms within several clicks. Consequently, you will easily improve the performance of your Magento 2 store in various search engines. Besides, there are tons of other options available in each suite. 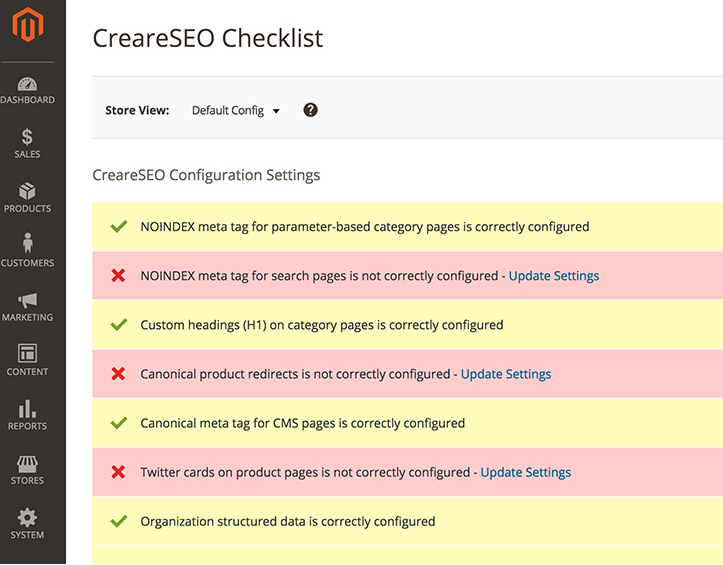 This one is a Magento 2 module that provides various SEO tools, such as SEO checklist, tools that help prevent your store from duplicate content, structured data for store info and other parts of your ecommerce website, efficient metadata templates, as well as various Google integrations. For further information, check the following link. advanced HTML and XML sitemaps. The best SEO suites are compared here: Magento 2 SEO Suites comparison. More modules are gathered here: Magento 2 SEO Extensions. Unfortunately, the integration with GTM as a Magento 2 Enterprise Edition specific feature, but you can always rely on third party SEO extensions. 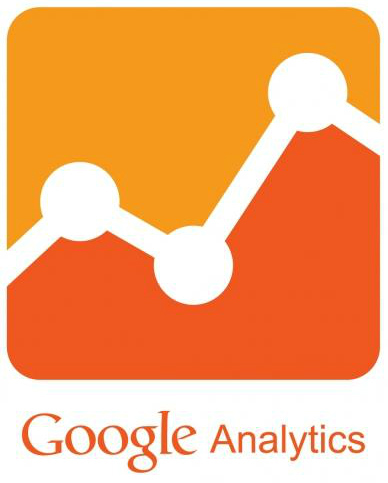 As for Google Analytics, there is an opportunity to enhance the default support options with some reliable tools. Both services are very important for your Magento 2 SEO, so don’t hesitate to improve them with the aid of appropriate Magento 2 modules. With this Magento 2 extension you will enhance your standard Google Universal Analytics Account with advanced features, go beyond the standard opportunities, and get a deeper insight into your ecommerce performance. 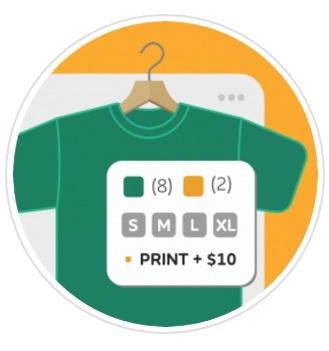 The module will help you understand conversions due to a checkout sales funnel that shows where potential customers drop off during the checkout procedure. As a result, you will be able to eliminate mistakes improving your store performance and boosting conversions. Note that Fooman Google Analytics + tracks even such checkout sections that are retrieved via AJAX in case of one page checkout. Besides, the Magento 2 module takes care of visitors’ privacy anonymizing their IP addresses. And if you are wondering if Fooman Google Analytics + for Magento 2 use Google remarketing script, we have good news. 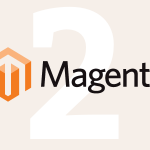 Therefore, the Magento 2 module supports display advertising. Magento 2 does not offer robust blogging options, so you have to improve this problem with the aid of extensions. Since blog is a reliable traffic driving tool which is absolutely based on SEO principles, we strongly recommend not to ignore this Magento 2 SEO improvement. As for the best blogging solution, it is WordPress. The Best Blog Extensions for Magento 2 – check this post to discover the best Magento 2 tools. 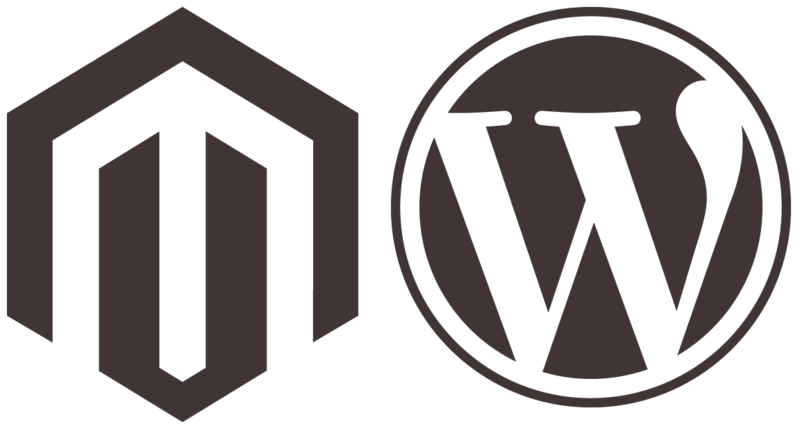 Magento 2 WordPress Integration by FishPig – this is one of the most reliable tools for integration with WordPress. Magento 2 offers three types of product relations: related products, upsells, and cross-sells. 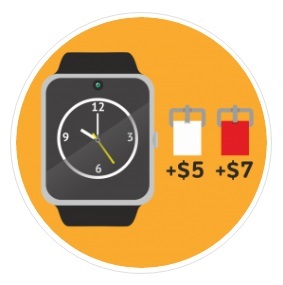 Upsell item is a product that you’d like your visitor to buy instead of the one that is already chosen. 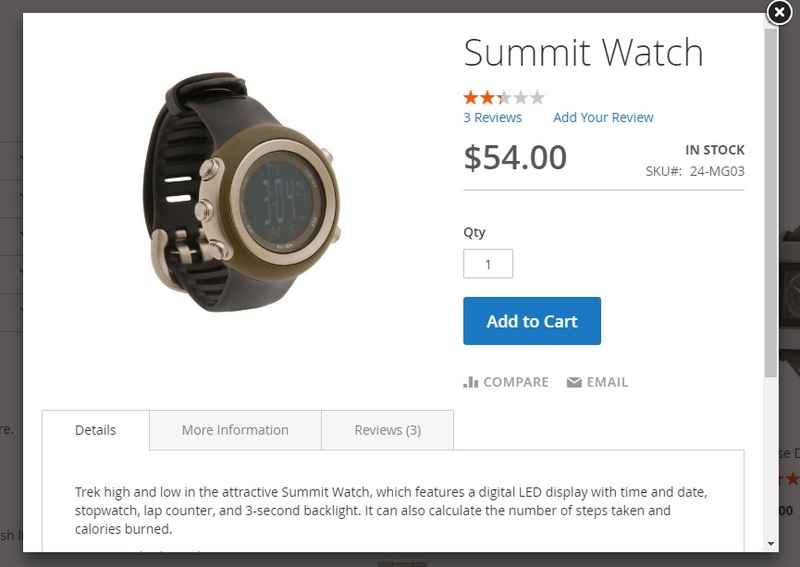 Upsell products appear in the shopping cart, are always pricey, and offers better quality. In their turn, related products are placed on the product page and can be purchased additionally to the item that your customer is viewing. As for cross-sell items, they appear in both places and are often related to a such phenomenon as an impulse purchase. All three types can be optimized for better SEO results with appropriate Magento 2 modules. Related Products Magento 2 Extensions – here, you can find Magento 2 modules that essentially improves the process of product relations. Using product tags is another valuable Magento 2 SEO technique, and you can essentially improve your current tags management capabilities by installing a reliable third party tool. 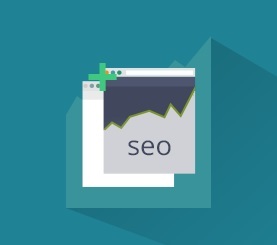 This is a simple but very effective addition to the aforementioned SEO options. 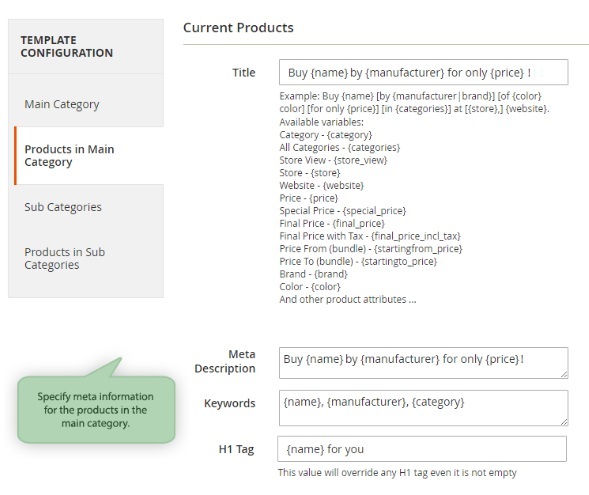 The Amasty Meta Tags Templates Magento 2 module automatically generates tags for category, product, and other pages of your Magento website, so you can fully leverage the full potential of search engine optimization with the help of meta tags. 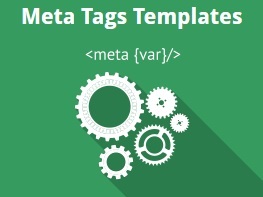 Amasty Meta Tags covers such areas as meta info, keywords, and H1 tags, participate in generating product descriptions, offers flexible templates that supports advanced parsing options, and can be used to set <nofollow> or <noindex> for site pages. Also, there are Magento 2 extensions which can be used for various marketing and advertising campaigns. They have different purposes, but the same final goal: the implementation of a successful campaign which leads to increase in sales. 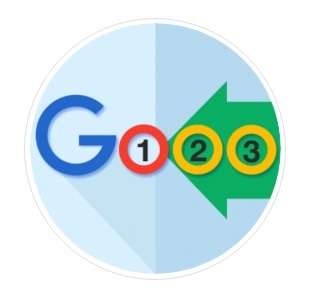 You can easily integrate your Magento 2 website with Google AdWords Conversion Tracking. Having installed a certain Magento 2 module, you will be able to add Google conversion tracking codes to every page of your ecommerce store. Social media Magento 2 extensions provide your customers with the ability to login with their social accounts to purchase your goods and add comments directly at the store. As for social buttons, the can be installed via a separate Magento 2 module, but there are universal solutions which combine both features. Having installed this Magento 2 module, you connect your ecommerce website to one the most popular social media service Facebook. as a result, you Magento is linked to the world biggest community that can easily increase your sales. First of all, you visitors get the ability to log in to your Magento 2 store via their Facebook accounts. Additionally, you get a good opportunity to run an advertising campaign with 800+ million active users. The Magento Facebook Connect extension is available for free. Hit the link below to download the module or get some additional information. Also check Social Login by aheadWorks and Social Login by Magestore. 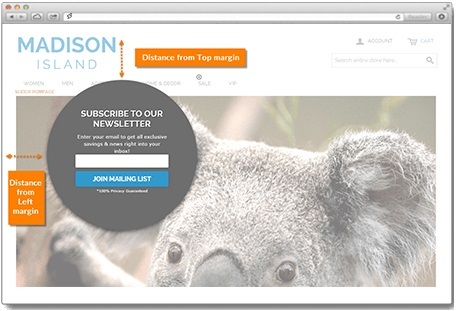 MailChimp is your tool number one for successful email marketing campaign. Luckily, you can get all the opportunities offered by this service with the help of third party extensions. Another group of tools aimed at email marketing is represented with improved newsletter for Magento 2. It’s the most reliable way to collect a huge database of customer emails and subscribe them to your newsletter. Amasty have a robust Magento 2 module for sending cart abandonment emails that lets you automatically send emails to customers after they left carts without proceeding to checkout. It is possible to create multiple email templates with unlimited number of rules to reach different customer segments. 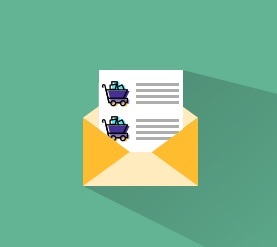 As a result, you can easily decrease your current cart abandonment rate as well as increase loyalty, since it is possible to add discount coupons to emails. Don’t forget to check our follow up extensions comparison: Magento 2 Follow Up Extensions Comparison. In the post, you will find 3 more Magento 2 modules designed to implement the improved functionality. There are Magento 2 extensions that stimulates customers to invite their friends to your store (referral marketing). At the same time, there are Magento 2 modules that stimulates your customers to sell your goods (affiliate marketing). In the first case your buyer gets a discount on a purchase for every invited customer. In the second case a customer gets a percent from goods he or she sells. In both cases you get more customers and your revenue grows. The tool lets you implement a flexible loyalty program appreciating and encouraging your customers, so they will return for new purchases again and again. 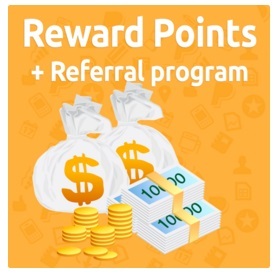 The mechanism behind Mirasvit Reward Points + Referral Program for Magento 2 and 1 is quite simple: you encourage your clients for performing certain actions on your ecommerce website. Choose what actions seem to be useful for your ecommerce business and create a reward system on their basis. 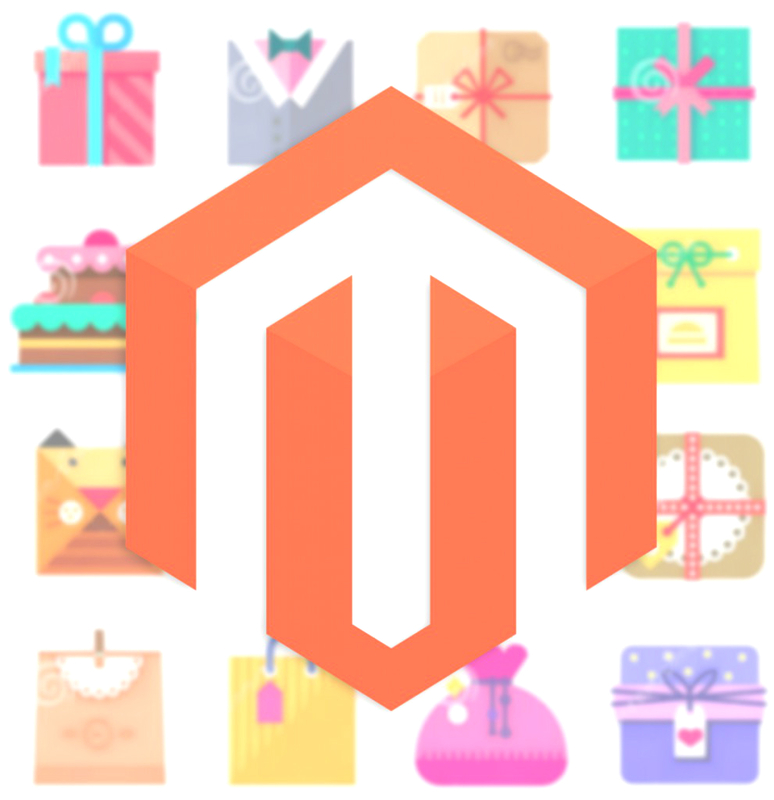 By installing a gift registry Magento 2 extension, you can help your buyers to get gifts they want, since the module allows them to create and manage gift registries which contain information about their wishes for special occasions. Consequently, your customers will bring friends to your website and engage them to purchase those gifts. Gift Card 2 by MageStore is a perfect solution for all sale seasons. It adds the ability to use fully customizable Gift Cards on your Magento 2 store. Customize values, change gift codes, and choose among more than 150 Holiday templates to engage your customers and increase sales. With the Gift Card 2 Magento 2 plugin, it is extremely easy to send and share Gift Cards as well as track their usage. 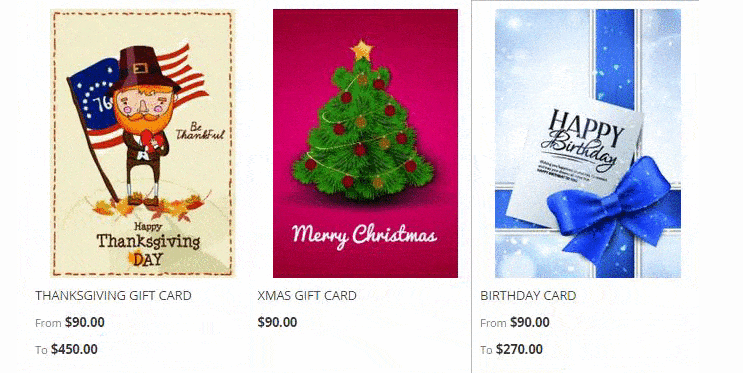 The best gift card Magento 2 modules are compared here: Gift Card Extensions Comparison. Below, we describe Magento 2 modules designed to simplify integration with various services. The following modules allow you to export valid data from your Magento 2 website to a Google Merchant account in a few clicks. Thus, you will provide your potential buyers with the ability to find your products during online shopping. Magento 2 integration with Ebay, Amazon, and other online marketplaces significantly expands your audience of buyers and represents your ecommerce business within new markets. The most convenient way to connect your Magento 2 store to a marketplace is to install the appropriate Magento 2 module. ERP, CRM, PIM, SAP, as well as other business solutions are often used by big ecommerce merchants, since they optimize workflow and connect various branches of a complicated enterprise into a single system. 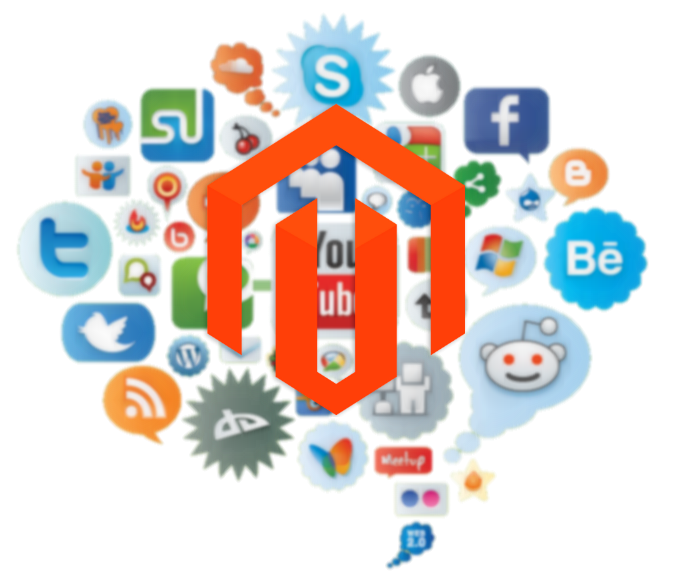 All major software vendors offer extensions which significantly simplify the integration between Magento and the aforementioned platforms. Schema.org plays an important role in the Magento 2 SEO and you can fully leverage it with the ecommerce platform. It is only necessary to install a corresponding Magento 2 module. The best solutions are gathered here: Magento 2 Schema.org Integration. 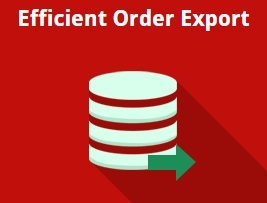 This Magento 2 extension essentially simplifies the way you manage orders on the grid. 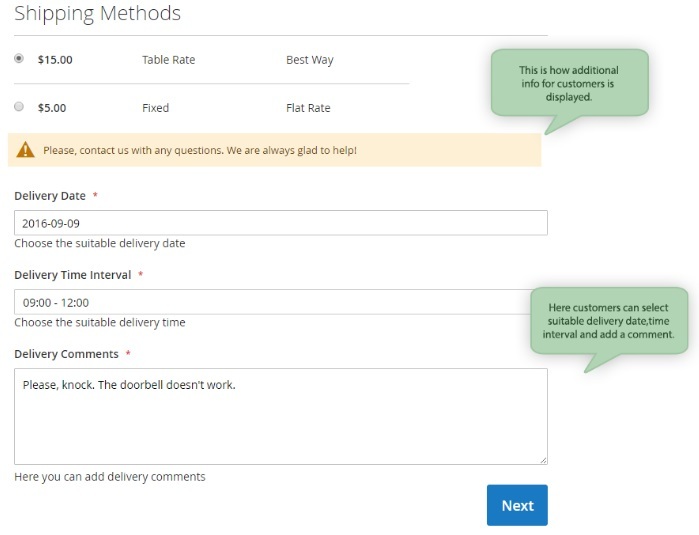 The module not only lets you create understandable order statuses, but also provides the ability to inform customers about every change related to order status. As for this Magento 2 module, it offers only export features, but does everything quite well. 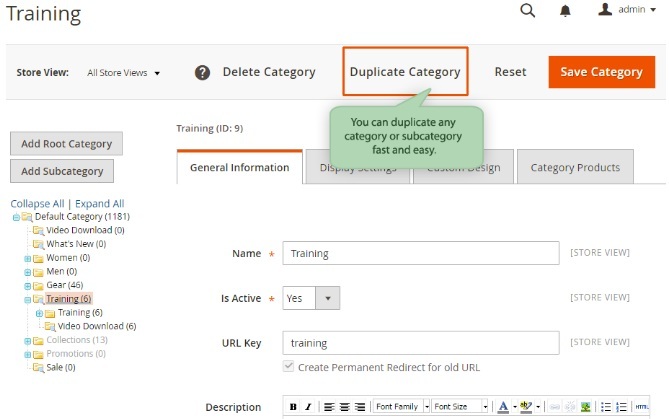 Having installed this Magento 2 module, you duplicate your categories rapidly and accurately. So if you have to deal with a multi-store Magento setup, this extension is a must. 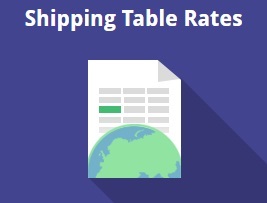 If you are going to get full control over shipping, pay attention to Amasty’s Shipping Table Rates. This Magento 2 module lets you create an unlimited number of shipping methods with multiple flat and table rates or flat and percent rates. 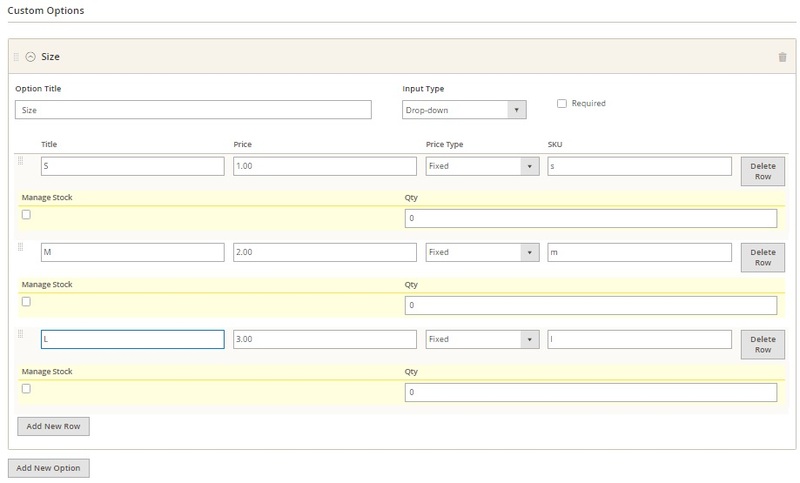 Having installed the extension, you can set specific rates for different products or product groups or create rates on the basis of product types. 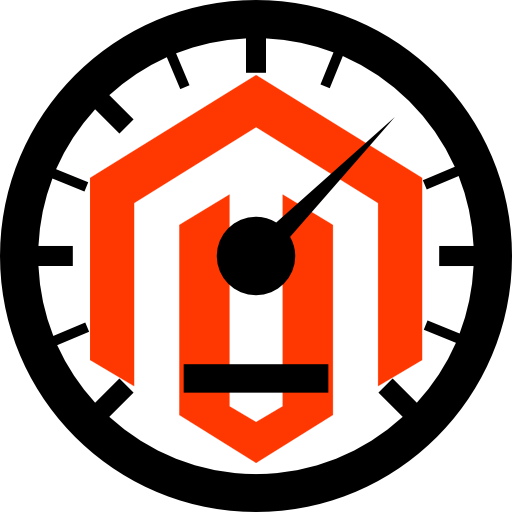 Magento 2 can be compared to a fortress when it comes to admin security, but you can still make it more safe, so malefactors will never still precise information about your ecommerce website and customers. Amasty, Xtento, Boost my Shop, and others already provide reliable security Magento 2 modules. You can check the most reliable solutions here: Magento 2 Admin Security Extensions. Next, you can find a list of top Magento 2 module provides and their most popular extensions. Another popular Magento 2 tool produced by Amasty is the Free Gift extension. The module provides the ability to add free gifts to a customer’s cart automatically. 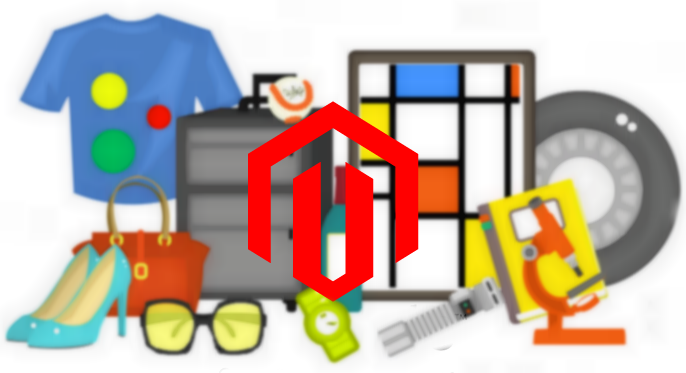 Besides, the Free Gift Magento 2 module allows you to apply discounts on promo items. 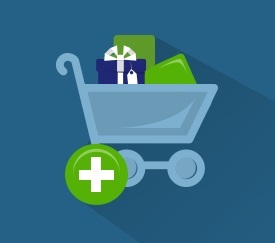 With the tool you, you modify your store with a popup window in a cart. 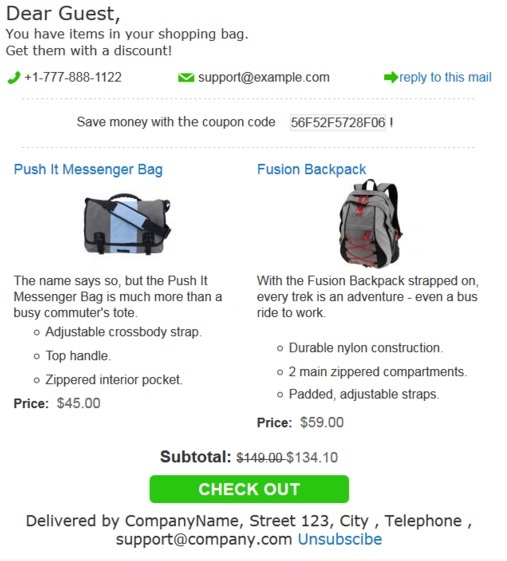 The extension supports configurable products as well as highlights promo items in a cart. Furthermore, you can set a filter that will add in stock items only to promo goods. And the module works with coupons. With this Magento 2 module you will get deep insights into your online business. 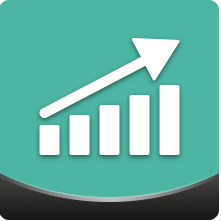 AheadWorks Advanced Reports offers 9 reports (more reports should be released soon) designed to describe all core aspects of sales over time. The information is divided on the basis of product or category. There are visual graphs that illustrate trends for each report, report drill down with additional details, as well as interactive charts.The extension is fast and responsible even on order-heavy stores. If you are looking for an advanced blog for your ecommerce website, pay attention the the aheadWorks Blog Magento 2 extension. It offers a strong content editor, reliable SEO features, convenient content navigation via sidebar blocks, tags, and categories, as well as DISQUS integration. 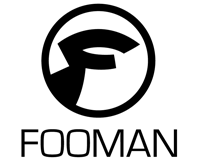 Fooman is a trusted Magento extension developer famous for its Speedster module that helps you speed up a Magento store by combining, compressing, and caching CSS and JS. The company produces both free and paid Magento 2 modules useful for adding some extra flexibility to your current ecommerce functionality. 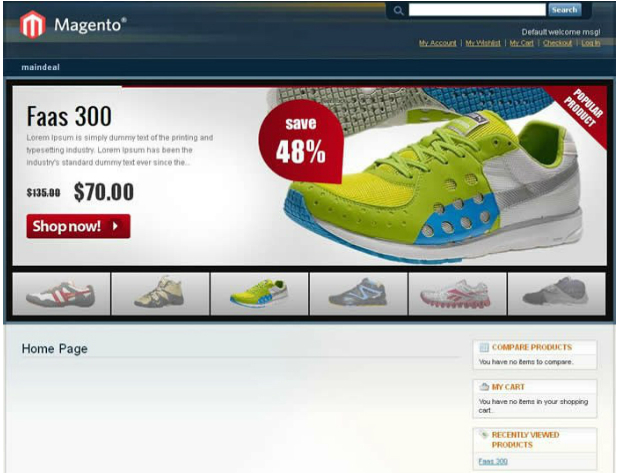 As a result, you can easily unlock the most out of what Magento offers. 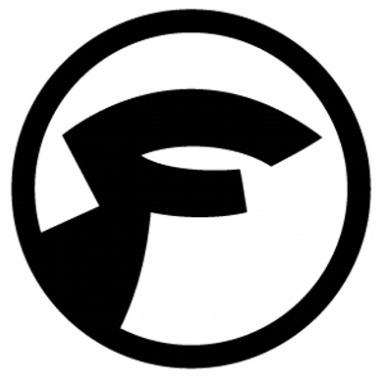 It is also necessary to mention that Fooman is a Silver Magento Technology Partner. The company already offer 5 Magento 2 modules: Invoice = Order Number; PDF Customizer; Print Order PDF; Order Manager; Email Attachments. This extension represents one of the best ways to customize Magento 2 documents. The corresponding Magento 1 module holds leading positions among other customizers, so the Magento 2 extensions offers the best experience based on the time-proven practices. 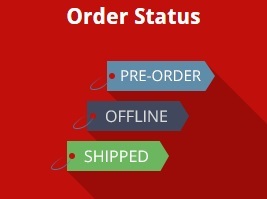 In addition to the aforementioned extension we also recommend you to check Fooman Order Number Customizer. 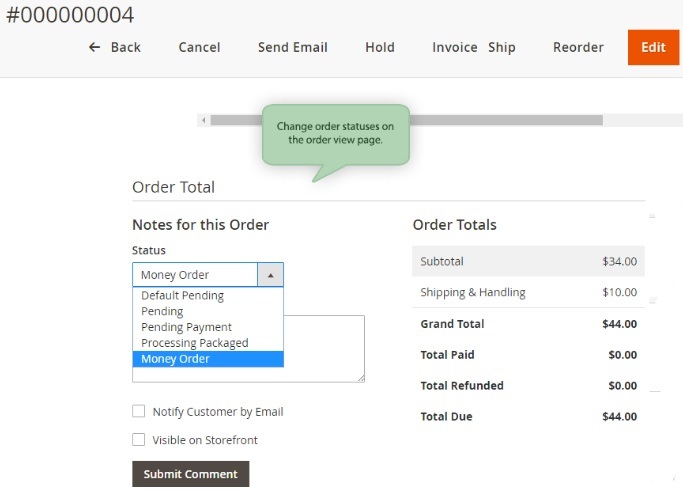 This tool is designed to create custom order, invoice, shipment, and credit memo numbers in the easiest way. Implementing Mirasvit’s extensions on a Magento website opens up new ecommerce opportunities and generates a stream of new visitors turning them into customers. All your current limits will vanish with appropriate Magento extensions by Mirasvit. The company does not offer as much Magento extensions as its counterparts, but its portfolio includes such prominent solutions as Sphinx Search Ultimate, Full Page Cache, and Advanced Product Feed. As for Magento 2 modules, there are already more than 12 extensions available on the company’s website: Sphinx Search Ultimate; Advanced Product Feeds; Follow Up Email; Search AutoComplete; RMA; Advanced SEO Suite. 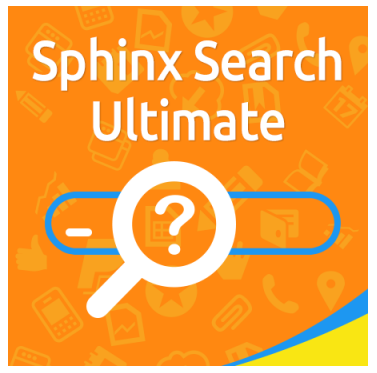 One of the most popular Magento 2 modules offered by Mirasvit is Sphinx Search Ultimate. 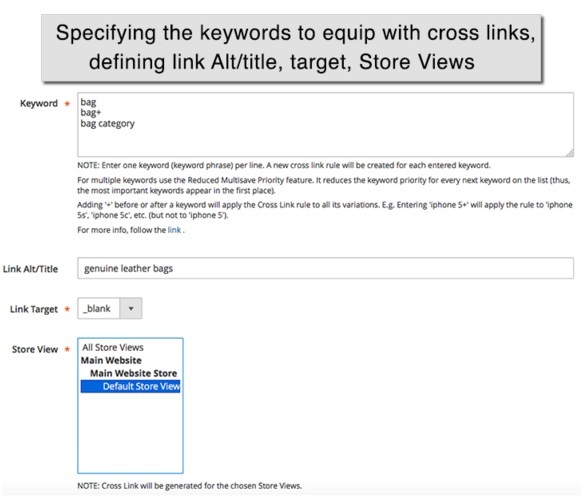 This Magento 2 extension combines the functionality of Advanced Sphinx Search Pro, Search Autocomplete and Suggestions, and Search Spell Correction. 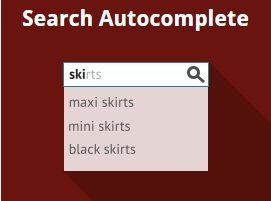 Thus, your customers get the most advanced search system. 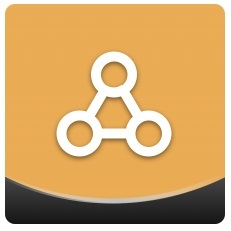 And this is a very reliable tool in your fight against cart abandonment. 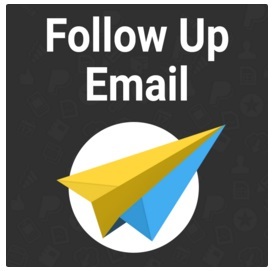 After installing the Mirasvit Follow Up Email Magento 2 module, you will be able to send emails bringing visitors back to the store and turning them into buyers. Mageworx creates Magento 2 modules that are extremely helpful for building and managing an efficient ecommerce website. The company’s portfolio consists of tools that will help you power up your site rankings, manage your store, configure various custom options, easily fulfill orders, etc. 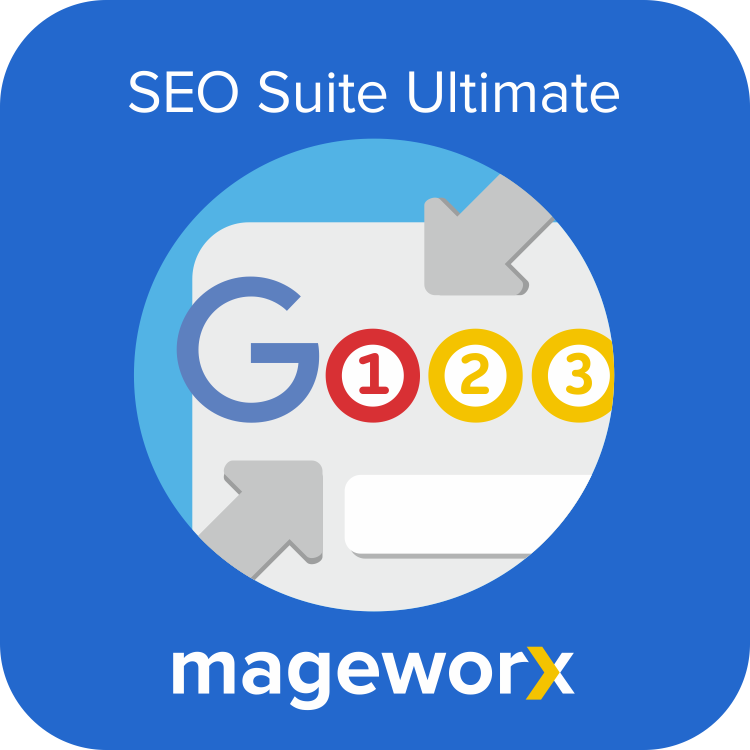 As for the most popular solutions offered by Mageworx, they are SEO Suite Ultimate and Advanced Product Options. The Magento 2 portfolio provides such extensions as: SEO Suite; Gift Cards; Cross Linking; Sitemap Suite; Store & Currency Auto Switcher; Search Suite. Mageworx offers a reliable all-in-one SEO solution that is called SEO Suite. This Magento 2 module combines the functionality of different modules covering the most important areas. First of all, you get tools for working with canonical URLs. Next, the Suite allows you to improve crawling and indexing. 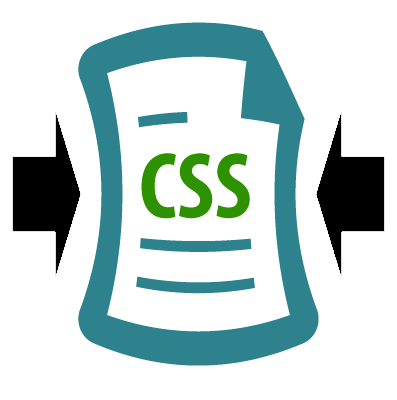 It is also possible to fully leverage HTML and XML Sitemap with Mageworx SEO Suite. Cross linking is also among the extension’s features. SEO templates for product and category pages are also available. 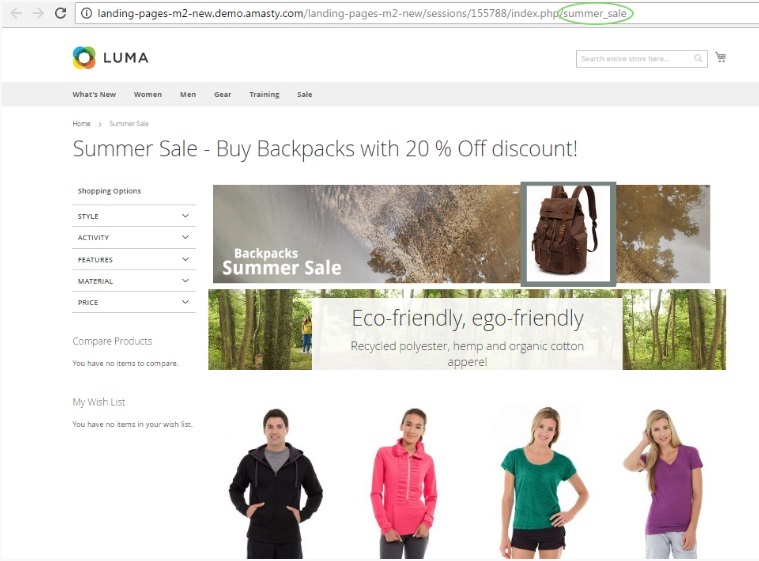 With the help of this Magento 2 module, you can attach various files to product pages. 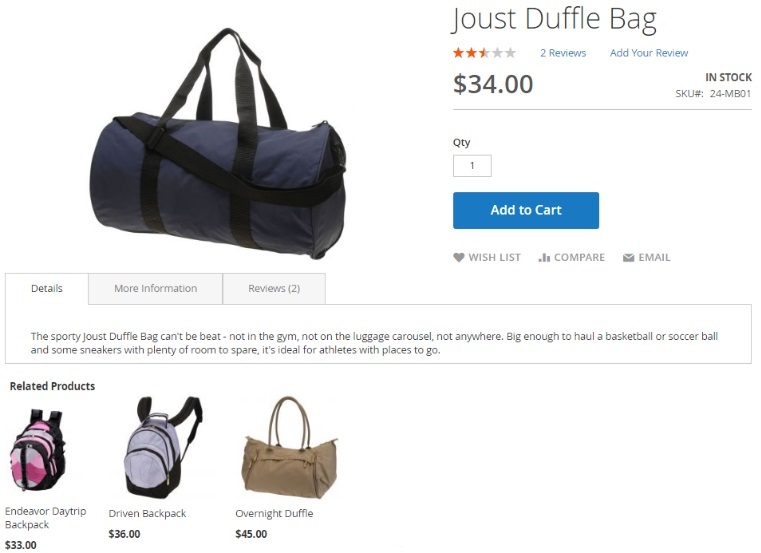 As a result, it is possible to provide customers with additional information about items you sell improving the default shopping experience. With this Magento 2 extension, you will easily connect your ecommerce storefront to one of the most popular shopping platforms. The Magento 2 module has an admin-friendly interface, so you will easily master it without any help from third parties. Get a Trusted Store badge and show that your Magento 2 website is a reliable place for shopping. 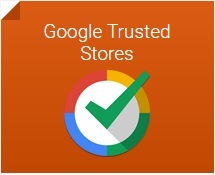 You will get more customers, since everyone trusts Google. Below, we’ve gathered Magento 2 modules divided into all possible categories. If the aforementioned extensions represent the best available solutions, the following posts contains all reliable Magento 2 modules from a certain group. 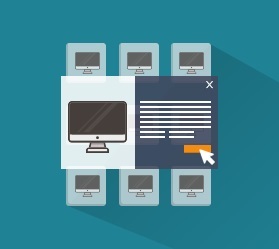 This post describes the most reliable third-party search engines, such as Solr, Elasticsearch, and Sphinx, as well as appropriate Magento 2 extensions. You can easily improve the default Magento 2 CMS with the aid of appropriate extensions described in this post. Magento 2 CMS crucially changes the way you’ve used to work with content within your ecommerce website. Unfortunately, Magento 2 admin is not secure, but you can already make it less vulnerable with Magento two factor authentication. More Magento 2 modules are described in the article. With the aid of Magento 2 modules described in this post, you will simplify your financial interaction with customers as well as increase loyalty. Simplify your Return merchandise authorization routine with the appropriate Magento 2 modules. With the aid of extensions listed in this post, you will improve Google Merchant Center Magento 2 integration. 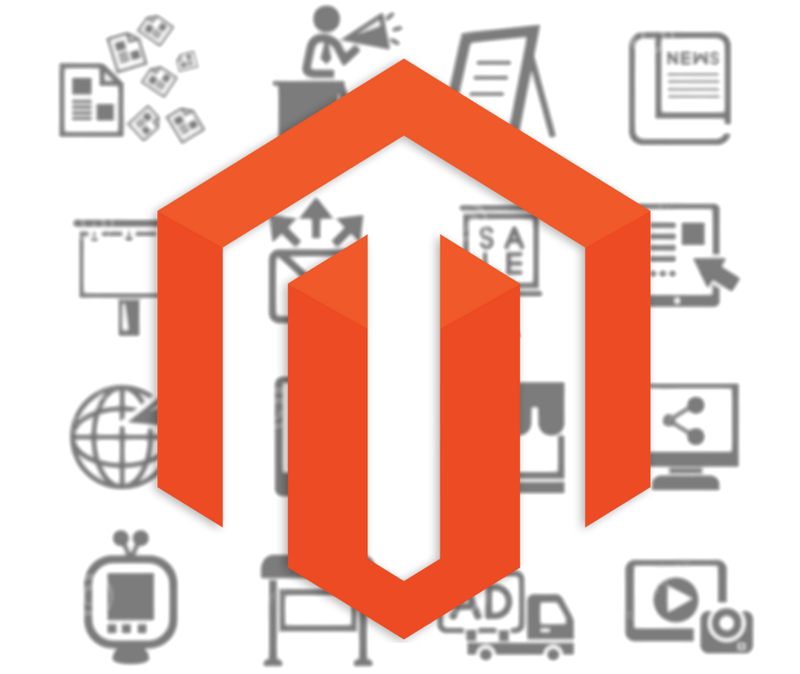 This group of modules provides Magento 2 with advances import/export capabilities. 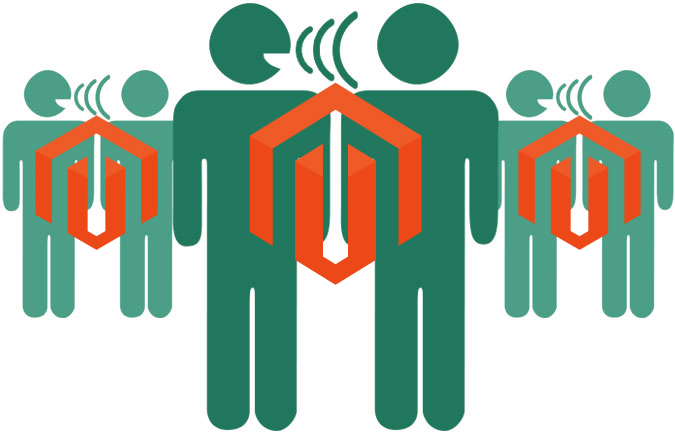 Add a little trust badge to your Magento 2 website and simultaneously improve SEO, loyalty. and conversion rate. Blog is a very useful ecommerce tool. 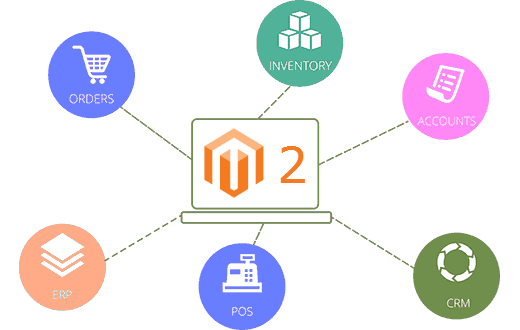 Unfortunately, Magento 2 does not provide an appropriate option, but you can easily get the lacking option by installing an appropriate Magento 2 module. This article explains how to connect your Magento 2 website to Google Merchant Center, Analytics, WebMaster tools, AdWords, and Trusted Shops. Improve your current tax management with these Magento 2 modules. With the aid of these Magento 2 extensions, you will provide your customers with the ability to place goods in the cart by only entring SCUs or Names. Connect your Magento 2 website to one of the best PIM systems to improve your current business experience. Another useful software you can integrate with your Magento 2 website. Implement new business model within your Magento 2 website by providing your customers with click and collect or in-store pickup options. Enhance default B2B opportunities of Magento 2 with extensions described in the post. With these extensions you will add various marketing features based on SMS integration to your Magento 2 website. 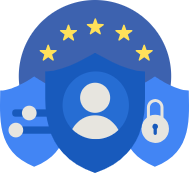 MAgento 2 EU extensions provides the ability to reorganize your magento 2 store according to the requirements of the European Union, including various taxes and laws. 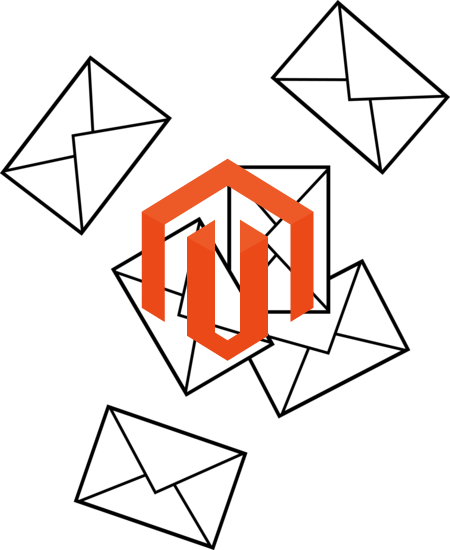 Extensions described in this post essentially improve the default emailing functionality introduced in Magento 2. 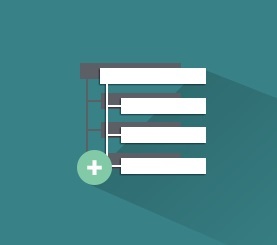 These modules add even more features and opportunities related to emails in ecommerce. You can easily implement various Ajax features on your Magento 2 website with the help of modules described in this post. By using custom product pricing on Magento 2, you will get a strong competitive edge over other online retailers. Don’t lose your chance to improve your business. If you are a Magento 2 developer then these extensions are a must have addition to the tools you use. Implement deal of the day and other promotions on your MAgento 2 website with ease! Boost the number of options available with products in Magento 2 by installing appropriate Magento 2 extensions. Advanced discounts and promotion rules are no longer hard to implement. You only need an appropriate Magento 2 module to be installed on your ecommerce store. Make the admin of your Magento 2 website more user-friendly and convenient with these modules. Navigation is one of key aspects of good user experience, so don’t hesitate to make it better with Magento 2 extensions from this post. The same is about catalog search. 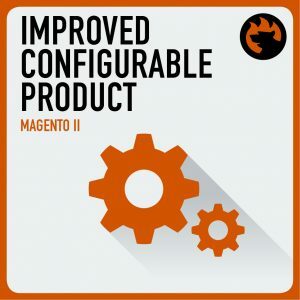 Configurable products in Magento 2 can be improved as well. You only need a Magento 2 module to be installed. Live chart is necessary for provding support in real time. Hence, it helps to reduce the number of visitors who leave your Magento 2 store, because they didn’t get help on time. Social media integration is among your key tools. It essentially simplifies various processes your customers should perform (login or comments) and helps to share your content. 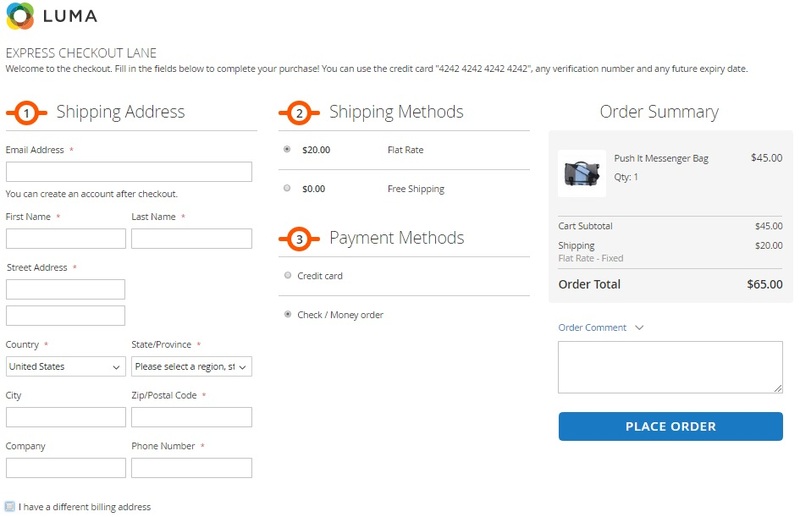 One Step / Page checkout extensions will help you get more sales by making your Magento 2 website and its checkout procedure user-friendly. CDN services are designed to increase the speed of your Magento 2 store. You can fully leverage their power with appropriate Magento 2 modules. With a POS terminal, you close the gap between online and offline parts of your business, and proper Magento 2 extensions make this process seamless. Full page warmers / crawlers for MAgento 2 are necessary if you use an FCP extension. As for FPC modules, they reduce time necessary for a page to be loaded. As a result, your Magento 2 website becomes more user-friendly. Custom shipping methods and rules essentially Magento 2 extensions essentially enhance the default shipping opportunities of the platform. With drop shipping extensions for Magento 2, you no longer have to store goods at home or rent a warehouse, since this approach to shipping provides the ability to sell everything via wholesaler or manufacturer. Gift registry Magento 2 modules help to increase sales by introducing a new marketing feature, which motivates your customers to invite their friends to your store. Custom PDF invoices offers a lot of new opportunities when it comes to sharing data, and you can easily get them with appropriate Magento 2 extensions. Manage your customers seamlessly and without any headaches with various CRM systems aimed at Magento 2. A/B testing you Magento 2 website, you can easily find out what features work better. You can test virtually everything from the colour of buttons to the way navigation is implemented. Use your resources wisely with ERP systems. Just connect your Magento 2 store to a platform of your choice via appropriate Magento 2 module. To sell your goods within multiple channels such as eBay and Amazon, you only should install a tiny Magento 2 module. The best solutions are described in this post. 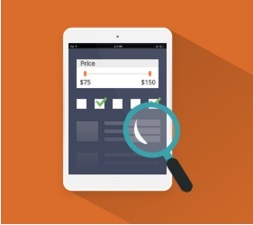 Provide your customers with the ability to view related products and choose better options. Stop shopping cart abandonment on you Magento 2 website with proper modules. You can easily create a multi vendor marketplace on the basis of the Magento 2 platform with extensions described in the post.